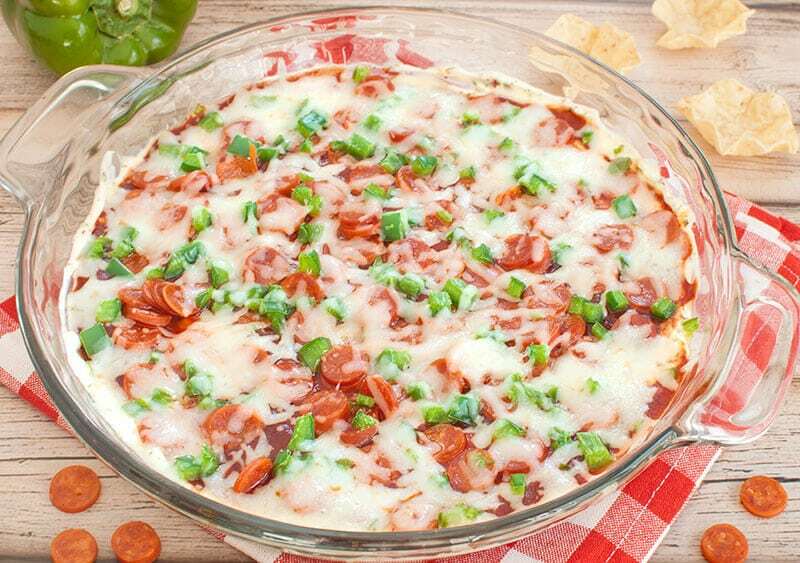 This easy pepperoni pizza dip with cream cheese is always a crowd favorite appetizer at a party or game day. 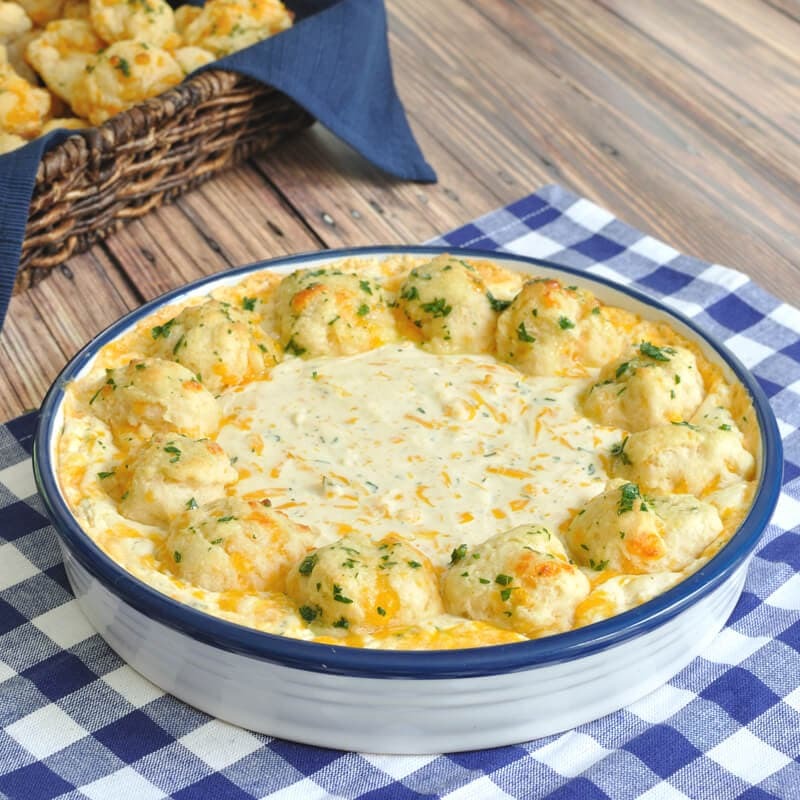 One great thing about this cream cheese dip is how super flexible it is. I like it so much that I typically don’t venture too much from my standard pizza ingredients, but you could get really creative with this one. 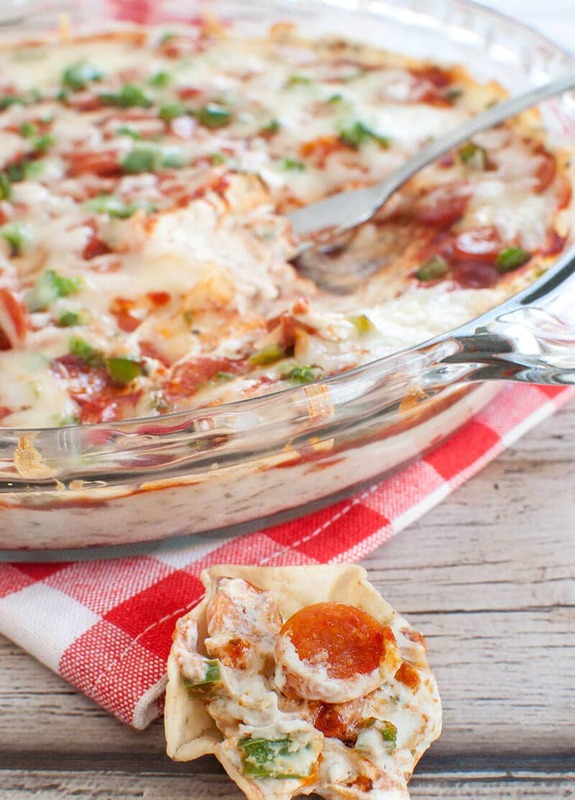 Can you use different toppings or make this a vegetarian pizza dip? Once you have the cream cheese and sour cream base, then the toppings are endless. 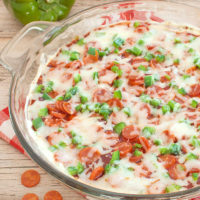 For a vegetarian version of pizza dip, eliminate the pepperoni and add in some other veggies if you like. 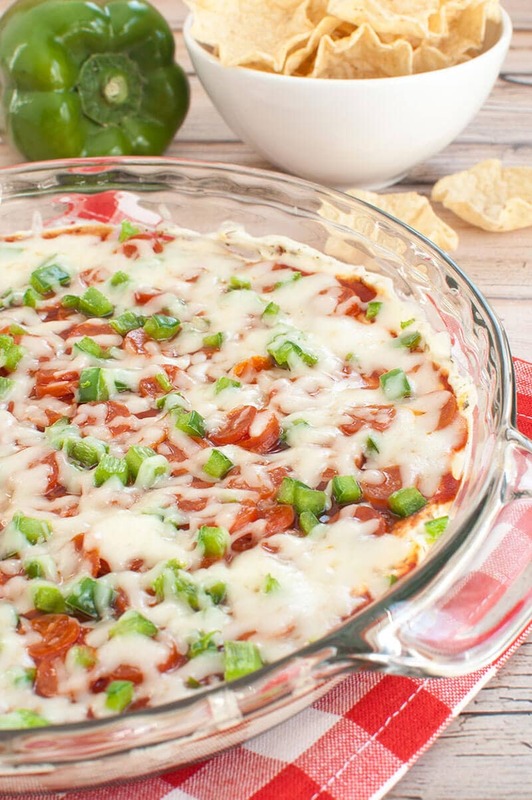 Serve this cheesy pepperoni pizza dip with tortilla chips or bread. Either is quite delicious! Yes! Make the cream cheese base and spread into your dish, cover and store in the fridge. When ready to serve, follow the rest of the instructions to heat. In case you haven’t discovered this item, I wanted to introduce you to: Pepperoni minis (I now see these in my local store brand and not just the name brand as well). These are so perfect for this dip and people are quite often amused by them if they have never seen them before. Much easier than dicing regular pepperoni like I used to do. 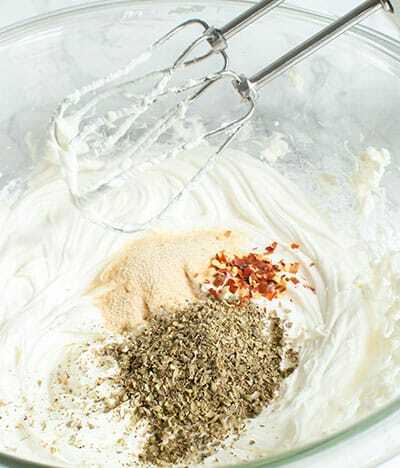 Step 1 – Using a mixer, mix together the sour cream and cream cheese until mixture is creamy. Step 2 – Add spices and combine. Step 3 – Layer the cream cheese mixture into a 8 inch pie dish, add pizza sauce and top with pepperoni and green peppers (or other ingredients if using). Step 4 – Bake at 350 degrees for 10 minutes. 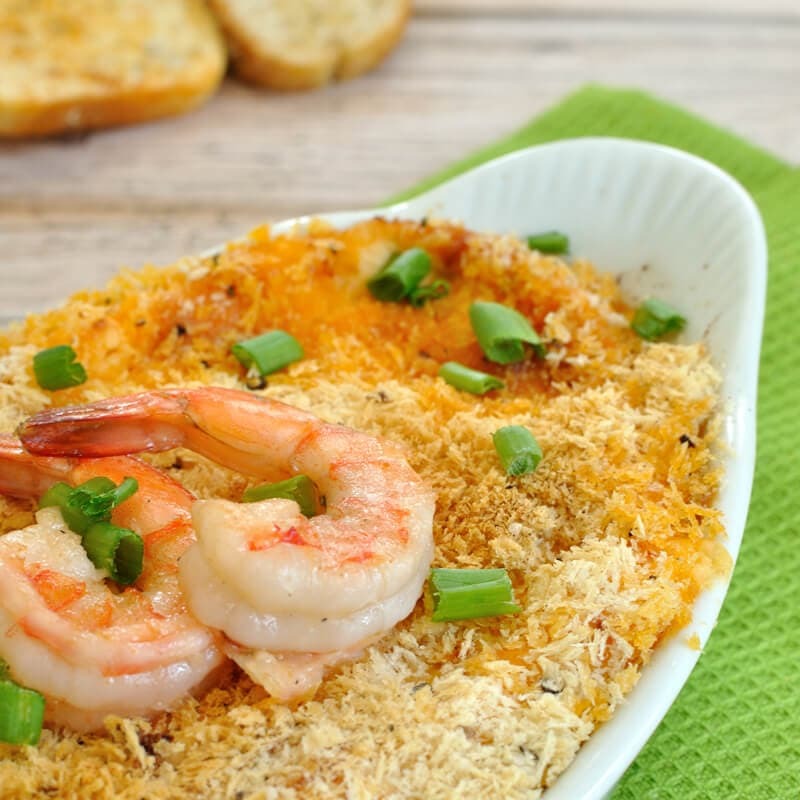 Step 5 – Add cheese and bake until melted. Mix together cream cheese and sour cream until smooth and creamy. Add garlic powder, oregano, and red pepper and mix until combined. Spread evenly in a 9 inch pie dish. Pour pizza sauce over top of mixture. Top with green pepper and pepperoni. Serve warm with tortilla chips or bread. Can you make ahead of time,than pop it back in to heat up? 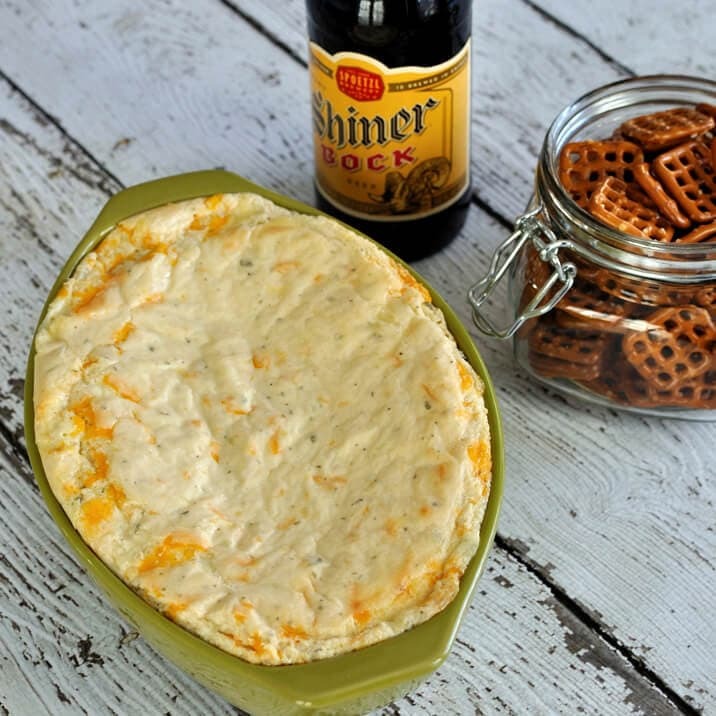 What I usually do when I need to make this dip ahead of time is to make and assemble the dip (except for the cheese) and put in the refrigerator instead of baking it immediately. Then I just heat it up and add the cheese when I’m ready to serve.